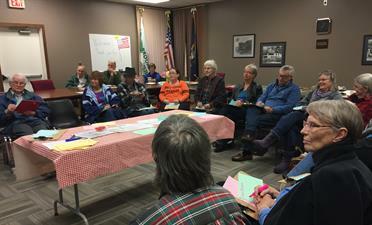 CEWAC is a new (fall of 2018) citizens' group whose focus is to improve the environmental health of Newaygo County. We meet monthly to discuss known issues, and research and learn about issues we should be more familiar with. We meet as a whole group and break up into smaller focus groups. Everyone with a heart for the environment is encouraged to participate. Every other month, we have a guest speaker and encourage the community at large to join us and learn about the many local initiatives, efforts, and concerns. The group is always open to all. Come just to listen and learn, or roll up your sleeves, or anything in between.